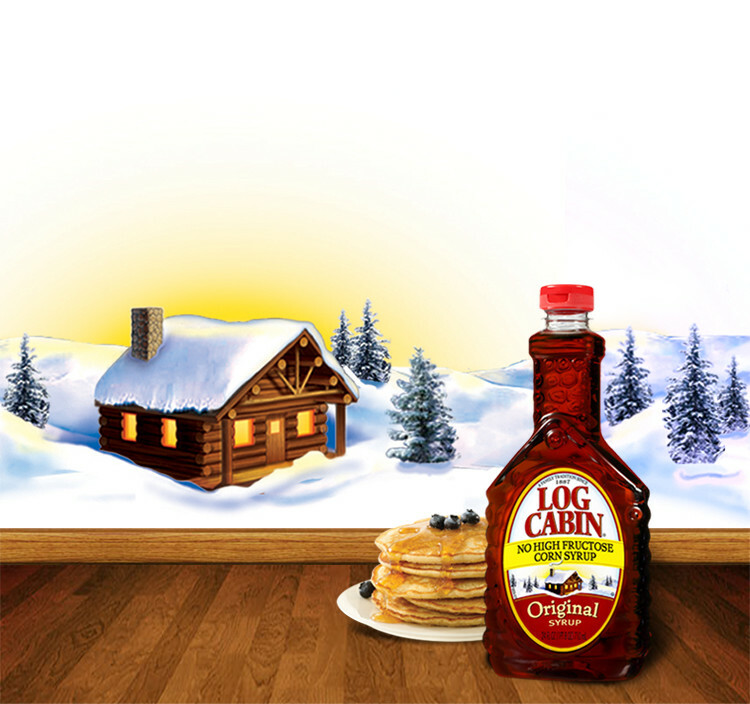 Since 1887, the delicious taste of Log Cabin® syrup has given it a traditional place at the family breakfast table. 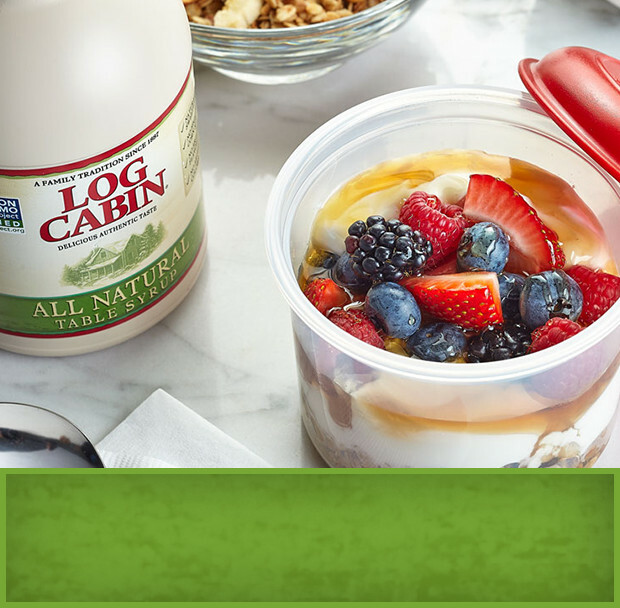 A bottle of Log Cabin on the breakfast table is family tradition! The delicious taste makes every moment even more enjoyable. 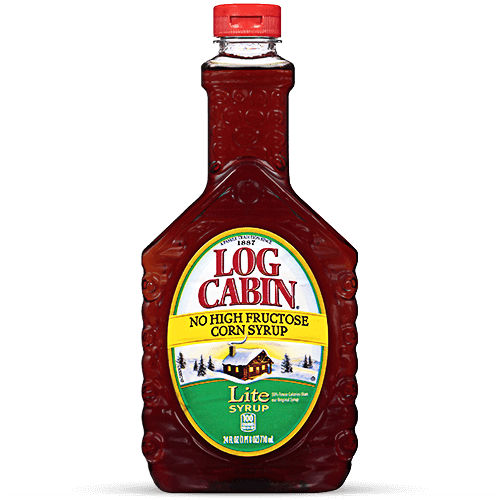 Log Cabin Lite syrup has 50% fewer calories than Log Cabin Original and no artificial sweeteners, but delivers all the flavor you love! 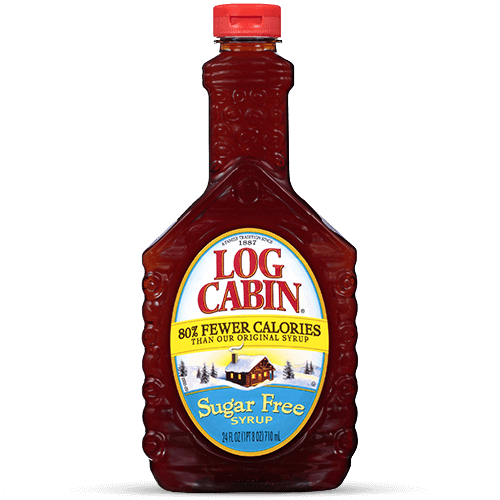 With Log Cabin Sugar Free syrup, you enjoy the delicious flavor of Log Cabin Original, but with 80% fewer calories and 0g of sugar. 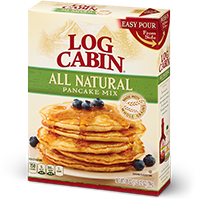 Available in easy-pour jugs, Log Cabin makes every breakfast moment even more enjoyable. The delicious taste is a family tradition! 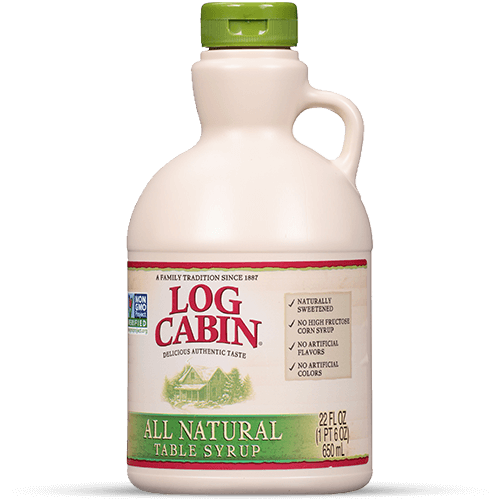 Log Cabin All Natural table syrup has no high-fructose corn syrup, no preservatives, and no artificial colors or flavors. 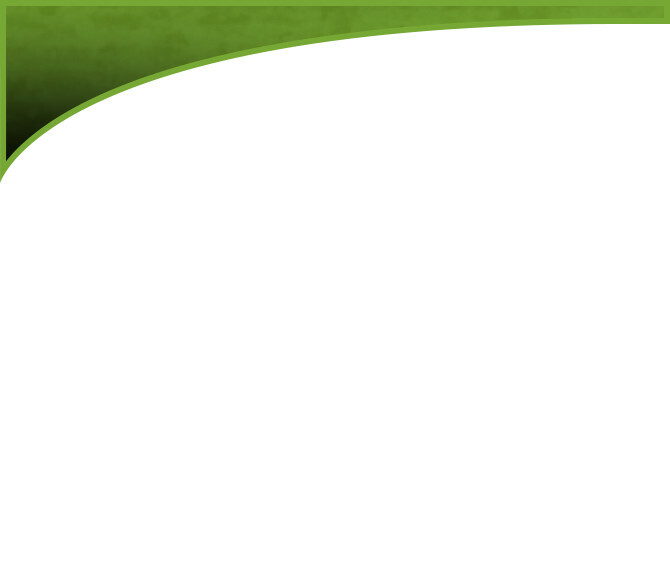 Enjoy its great taste, naturally! Enjoy delicious, fluffy pancakes made with whole grains. It’s a breakfast you can feel good about, with 3 grams of fiber per serving and no artificial colors or flavors. 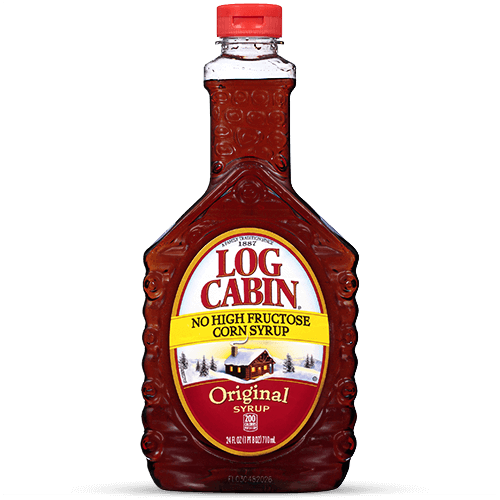 Log Cabin has been making delicious syrup for 120 years. Minnesota grocer Patrick J. Towle introduced the brand in 1887, and named it in honor of his childhood hero and true American icon, President Abraham Lincoln. President Lincoln grew up in a log cabin, deep in the woods of Kentucky—hence the brand name Log Cabin, chosen by Mr. Towle to honor Abraham Lincoln. 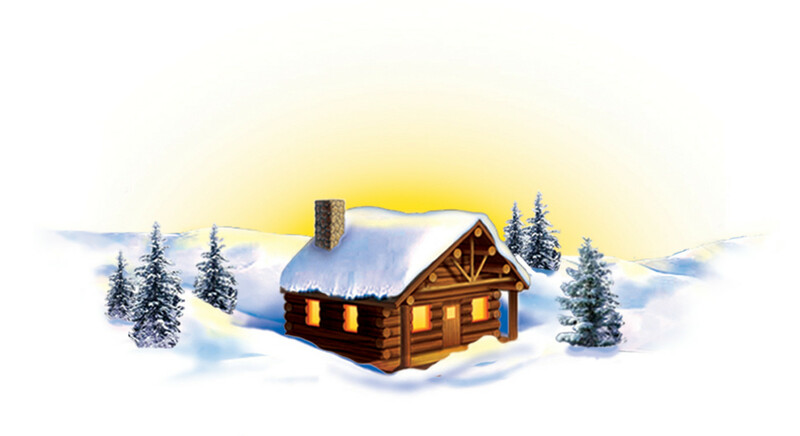 With a history like that, it's no surprise that Log Cabin continues to be known for tradition at the breakfast table and its delicious taste. 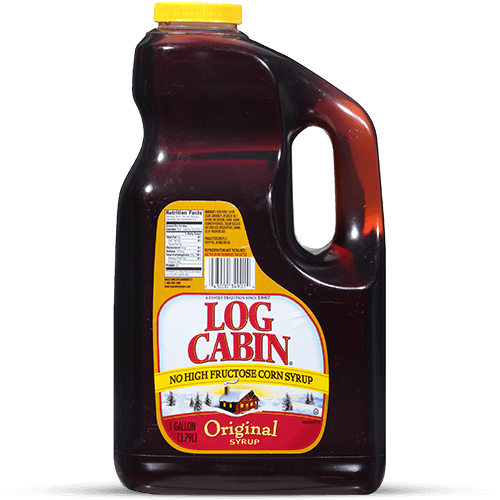 Everyone in the family will enjoy Log Cabin syrup, available in Original, Lite, and Sugar Free varieties. 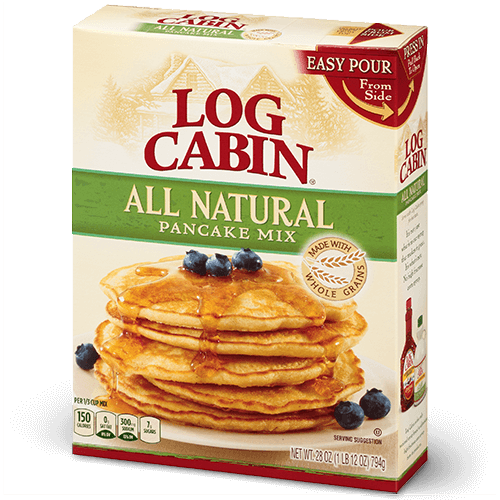 Also, for the most recent Log Cabin product launches, try Log Cabin All Natural syrup and pancake mix.